Europack is specialist in the manufacture, supply and export of high quality packaging containers from products such as Packaging Products. These are highly demanded in market. 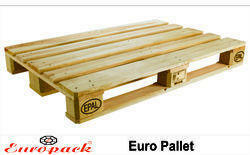 "Europack", is a prominent name in the manufacturing, exporting and supplying of Packaging Products. 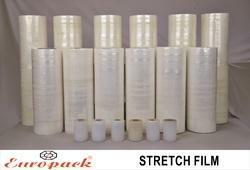 The company is known for its quality packaging products in the packing materials and moving business and is committed to ensure the safety and timely delivery of your goods. The company is a perfect example of excellent range at affordable prices and in meeting the time constraints of clients. Our commitment to deliver the best and make customers satisfied has made us a talked about name in the packing and moving industry. Our expertise lies in manufacturing supreme quality Packaging Products to fulfill the requirement and transportation requirements of our clients for varied industries such as machine components, electronic control panels, computers, laboratory equipment, Automobile, Pharma, Drugs & Dyes, Defence Industries and more. We also cater to the needs of individuals and take all efforts and measures to ensure delivery of best range. The quality of containers that are manufactured by us are such that they meet the international and domestic standards of transportation via road, sea, air and shipping. 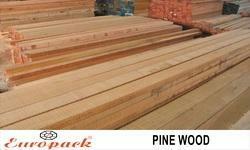 We are a specialist in providing a comprehensive range of packing solutions to our customers for various requirements. We are exporting to Germany, China and Japan. Our wide range of products include Packaging Boxes, Packaging Pallets and Packaging Material. 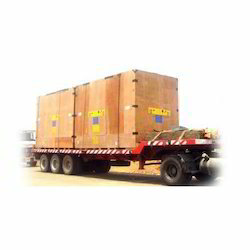 Have a look at some of our products Export Packaging Boxes Industrial and Export Packing Boxes Plywood Boxes Wooden Cases / Wooden Crates Corrugated Shipping Boxes Wooden Pallets Two-Way Pallets Four-Way Pallets Other Products Paper Bags Fruit Boxes Pizza Boxes Boxes For Heavy Packaging Reusable Packaging Cases Palletising Cargo Wooden Skid Stuffing We accept orders in bulk as well as economic order quantities. As a rule, our products and quality of service always remains the same irrespective of the specification or quantity desired. We are here with e-commerce website.